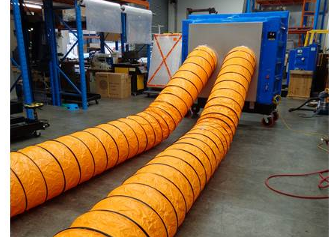 Sanroma Industries offer solutions for an array of applications, including air circulation, air scrubbing, dust suppression, humidification and cooling large areas, staff or machinery quickly and efficiently. Regular fans simply circulate the existing air, same humidity at the same temperature. 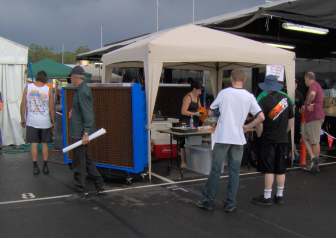 Evaporative Coolers and Misting Systems takes that same existing air, combines it with evaporating water, which dramatically lowers the temperature. 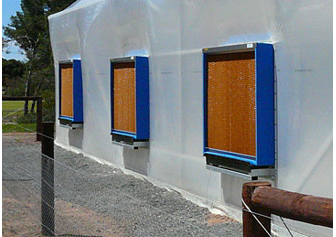 A wide array of applications benefit significantly from artificially controlled humidity levels. Greenhouse humidity systems promote faster plant growth and increases plant quality and yield. Increasing the relative humidity in wine cellars reduces the evaporation of wine through the barrels. Correct humidification of fresh fruit and vegetables, keeps the produce hydrated and slows the natural deterioration process. 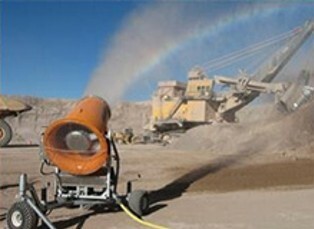 In some worksites, the control of dust is an ongoing problem. There are many health risks related to respiratory complaints, visibility issues and equipment deterioration. 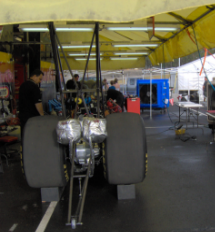 Misting systems can effectively suppress dust by producing a consistent mist of uniform droplets that captures airborne dust particles and natural gravity pulls them towards the ground. 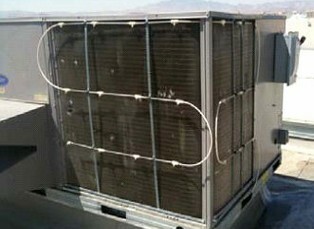 The cooling pads in evaporative coolers also act as a air scrubber, removing dust and debri from the air that passes through the unit.